Actress Taapsee Pannu, who is all set for her upcoming Judwaa 2, co-starring Varun Dhawan will next feature in a biopic based on the life of hockey player Sandeep Singh, reports Mumbai Mirror. 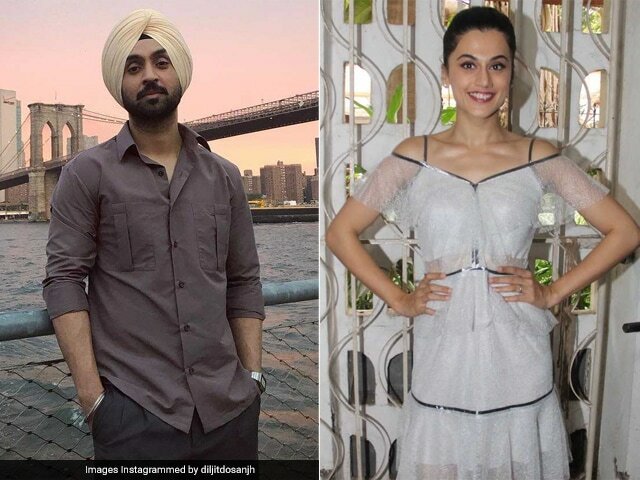 The yet-untitled film will star Taapsee opposite Diljit Dosanjh and will be directed by Shaad Ali. Diljit, who was appreciated for his performance in his Bollywood debut Udta Punjab, will feature as hockey player Sandeep Singh in the film. It is inspired by events from the life of ex-hockey captain Sandeep Singh, who also won the Arjuna Award in 2010 and the woman, who inspired him to be a hockey player. "It's a beautifully woven love story about two ace hockey players, where the woman helps the man achieve his dream and go on to lead the country. It's a romantic journey of loss and love, dreams and hope," Mumbai Mirror quoted a source as saying. In 2006, Sandeep Singh was seriously injured after being hit by an accidental gunshot in Shatabadi Express. He was on his way to join the national team, which was supposed to leave for the World Cup, after two days. Later, he not only recovered from his injury but was also awarded The Man of the Tournament in 2009's Sultan Azlan Shah Cup. Desi Boyz's actress Chitrangada Singh will co-produce the film along with Sneha Rajani. Taapsee will play the character of the woman, who stands by Sandeep Singh throughout his journey. Both actors - Taapsee and Diljit will go through intense hockey training under professionals, reports Mumbai Mirror. The film is scheduled to go on floors on October 4th. Diljit, who was last seen in Punjabi film - Super Singh, will star opposite Sonakshi Sinha in Crazy Hum. He also has Kaneda in the pipeline with Anushka Sharma and Arjun Kapoor while after Judwaa 2, Taapsee will feature in Tadka, which is being directed by Prakash Raj.